Yes! The breaking news is true! OnlineJobs.ph has acquired EasyOutsource.com. We are super excited to work with EasyOutsource matching employers and talented Filipino employees! Today we’d like to share a little about why we decided to acquire Easy Outsource. 8 years ago we hired our first Filipino VA and knew immediately we were on to something special. 6 years ago, when we had people asking us every day to teach them the secrets to our success in hiring Filipino workers, we started ReplaceMyself.com. 4 years ago, when there wasn’t a great way to find Filipino workers remotely, we started OnlineJobs.ph and made labor in the Philippines accessible to everyone. 1 year ago, we created Payments.ph and TimeProof, producing better tools for employers to pay and manage their workers. One month ago we acquired EasyOutsource.com, expanding our ability to help both Filipinos and foreign employers connect and work together. We’re obsessed with creating the best possible experience for entrepreneurs and small businesses as they search for, recruit, hire, and manage workers in the Philippines. EasyOutsource is a good place to find Filipino workers…but we intend to make it GREAT. EasyOutsource will continue to run as it’s own site. We’re not going to fold it into OnlineJobs.ph. What we are going to do is use our knowledge, experience, and expertise gained from creating the #1 site for outsourcing to the Philippines (OnlineJobs.ph) to make EasyOutsource even better than it is today. We’ll make it safer for employers by removing problematic workers and helping to verify the good ones. We’ll make it safer for Filipino workers to confidently take jobs by eliminating job posts from employers who have no intent to pay workers. We’ll continue to grow the user base of both employers looking to hire, and workers looking to work. Filipino jobseekers will find that as we bring more trusted employers to EasyOutsource, their opportunities to find reliable employment will increase! Employers will find that as we improve the website and quality of potential employees, their workload and costs will both decrease, as their productivity increases! We hope to make EasyOutsource a trusted place where Filipino workers and employers can meet and begin productive working relationships. We look forward to years of working together! Why would you not combine the 2 databases of available and willing workers for just doing 1 search? We’ve considered it. A lot. We think eventually we’ll have some integration between the two (searching both at the same time, job posts going to both) but it’s a ways off. We feel like we have some cleaning up to do with EasyOutsource before we’re comfortable combining databases. We purchased your course some years ago with little success. This past year we have hired and are happy with two Filipino workers. We need help in hiring a person who can manage projects for us and who can assist us in getting our online course redone for approval in additional states. Also, you had some online courses that our employees could take to expand their skills. Do you still have those available. Glad to hear you’re having success. Yes, we still have courses the employees can take. They’re available at http://www.ReplaceMyself.com. Thank You! I love the fact that you have been doing so much to make your product/service even better. My business wouldn’t be off the ground it it hadn’t been for Replace Myself! I love my PH team and am looking forward to the day when I can go to PH and meet them all in person. Do us replacemyself members get free access to the new acquisition? Right now we don’t have the ability to do this. EasyOutsource runs on a completely different back-end system than OnlineJobs.ph. Eventually, yes, ReplaceMyself.com members will get free access to both. Is it now possible as a ReplaceMyself member to use EasyOutsource too? Not yet. It’s something we’ll work on in the coming months. Congrats Jonas. Great to see you growing. 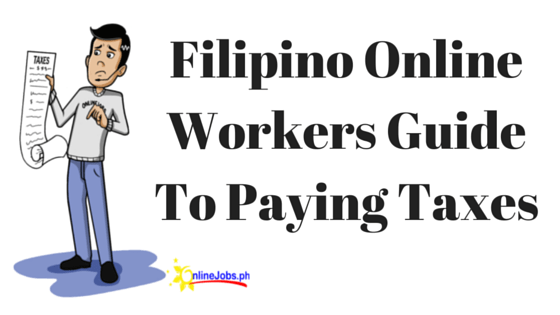 You are doing a unique service for Filipino workers. I stopped paying my membership fees ($97) due to all the lies and workier promises of being abvle to do this or that, when in fact they could not and had no idea how to do a lot of the things they said they could. I only hired two of these and found that instead of freeing my time i was working harder trying to help them get the needed work done, when they said they could do it. Another problem I had with four different ones ones I tried to hire, the published price the employee was asking for salary changed drastically when they learned I was an american trying to hire them. Sorry this happened to me 4 times and that was whyen I decided to give it a rest for a while. Sorry to hear it didn’t work out for you. I’ve seen it work for thousands of people. Might be worth giving it another shot with trying to get them to do something different than what you were trying to get them to do before. Try hiring someone to do something you’re currently doing in your business, something you know how to do really well. I have just hired my second worker and so far am very happy. The first one is constantly trying to save me money in my business and gets upset if I don’t allow her to find other ways to do something prior to my spending money to get it done. I am looking for how to move her “up the system” to allow her to do more so that I can hire more workers. Yes, I have to do a little more work now, but, if I put in more time now, that’s less time for me later. All the best in your new adventure. I hired my first Filipina through John in January 2010. Since then I have contracted either part time or full time with over 40 workers. I currently am down to three fulltime workers. My experience has been that managing outsource Filipino workers can be like trying to herd cats if you do not maintain firm control as they tend to be very opportunistic and are prone to “fake it” until they “make it. Following John’s recommended daily reporting is vital and the other thing I have found to be necessary is to make sure they prove they have the skills they represent before hiring them as they generally oversell themselves. I hired one of John’s vetted workers and that is a bargain for what you get because you can waste a lot of time with pretenders if you are not careful. I have now lived in the Philippines almost four years and when you understand the culture you can understand why they oversell themselves. Difficulty in life causes people to do desperate things to survive. Stick with John’s vetted workers and save yourself a lot of grief. I have hire 1 worker an in the process of hiring my 2 VA and the experience with my first VA was great, it save me a lot of time and headaches. The feeling of not having to do something that you need to do yet that you don’t have to do is priceless. Just a quick question, should I use onlinejobs or easyoutsource now to look for my VA? Generally, OnlineJobs.ph is more reliable still. We’re making changes to EasyOutsource to make the hiring process better, but for now, it’s just not as good as OnlineJobs. It’s interesting. One of my VA (hired on OnlineJobs) recommended me to go to Easyoutsource because there’re more applicants. That may be because in the past EasyOutsource displayed how many applicants each job had. It may have appeared there were more applicants, but with 4x the number of active job seekers, I guarantee you’ll get more applicants to any job on OnlineJobs.ph. What is the post speaking about when they say: “Stick with John’s vetted workers”. I would like to hire 6 sales associates from Philippine. They would need to work in Texas , Houston. How will you help me with all this ? Can you describe me all the process? To learn more about how our website works and how we can help you find employees from the Philippines, please click on the link below. I have an Onlinejobs.ph account however I wanted to know if it’s okay for me to create an account with Easyoutsource? I have my onlinejobs.ph and easyoutsource accounts. How can I have a job immediately getting hired? I keep on applying but it seems I never got a chance to have a job. Wrong decision. Easy Outsource is a weak site founded by Matt O’brien, a dimwit digital marketer. Don’t worry Kirara. We’re fixing Easy Outsource so it’ll be a better place to outsource.